So you want a VBAC? 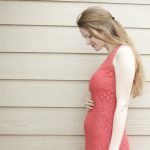 You had a c-section last time, because you failed to progress, or maybe they told you the baby would be too big, or that your pelvis was too small or maybe you had complete placenta previa (like I did): you had a frustrating birth experience and you are dreaming of VBACing next time, but you don’t know where to start. For months now I have been elbow-deep in VBAC research. My first birth was not at all what I had hoped (although it did give me the sweetest boy in the world), I was planning on a natural water birth, but due to complications I wasn’t able to achieve that dream. 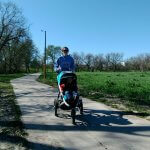 When we have a second child, I am planning on a VBAC, and I am going to do everything in my power to make that happen! Here is all the research, stats, and remedies I am going to try the next time around. A few sweet readers asked me to share my research, and so I compiled it for you in this post! First of all, I want to applaud you for preparing for a VBAC! Only 10% of women who have c-sections will ever attempt a VBAC, and out of that number 60-80% will be successful! If you choose to VBAC in a birth center or at home (if that is legal in your state), then that number jumps up to almost 90%!! Most doctors recommend waiting 12-18 months before trying to conceive again, in order for your scar to be completely healed. If you know which provider you are going to choose, than I would suggest asking them for their recommendation, but know that the majority of healing happens in the first few weeks after a c-section. 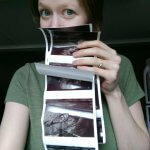 I know several women who got pregnant before the 12-18 month mark and had successful VBACs. This article VBAC & Scar Integrity is a great in-depth resource about scar healing. What Are My Chances of Uterine Rupture? Uterine rupture is the hot topic when people talk about VBACs. A uterine rupture is when the uterus tears–and that is a fear for many moms who are interested in VBACin. However, there is great power in knowing statistics! Don’t let anyone scare you into getting a repeat c-section, by throwing around scary terms like “uterine rupture”. The rate of uterine rupture, in all births (including moms with no scar on their uterus) sits at .07%. The rate for VBAC moms is a bit higher (but still incredibly low) at 0.3%-0.7%. According to this humorous article, Another Perspective on Uterine Rupture by Eileen Sullivan, you are more likely to be in a bicycle accident, murdered, die of heart disease or to have a cord prolapse than to experience a uterine rupture! What is Uterine Rupture and How Often Does it Occur? Sometimes doctors over emphasize the risks of a VBAC, and underemphasize the risks of a repeat c-section. 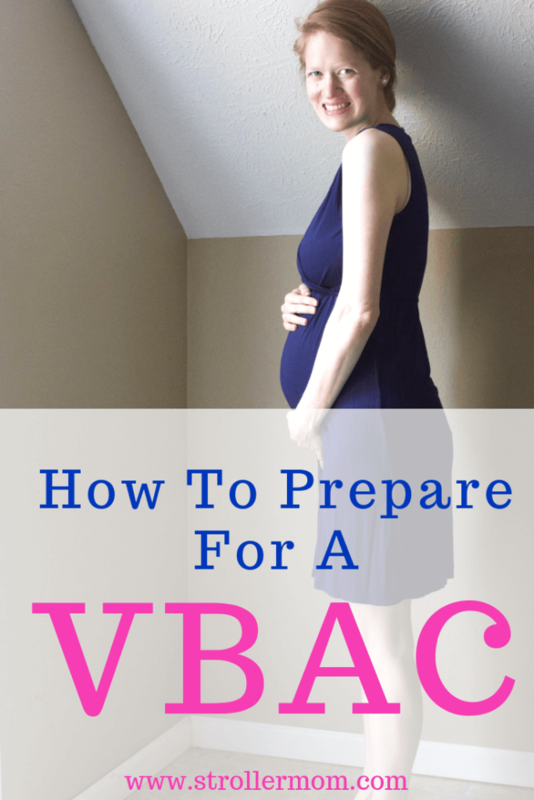 Be sure that your OBGYN or midwife not only goes over the risks of having a VBAC, but also addresses the risks associated with a repeat section. If he/she focuses solely on VBAC horror stories, then your provider might be VBAC tolerant rather than VBAC supportive, and you will want to look into switching. There are risks to both repeat c-sections as well as VBACs. Risk of hysterectomy, placenta previa, placenta accreta (which can be life threatening), dense adhesions and more rise substantially with every c-section. Check out this second page of the ICAN brochure for a handy graph that illustrates risks for both c-sections and VBACs. So you’ve gone over all the stats, read all the articles, and decided you want a TOLAC (trial of labor after caesarian–A TOLAC Is what you attempt, and you call it a VBAC after you have accomplished it). Yay! Good for you! The first thing you need to do, as my bestie told me when I was talking about all my VBAC research, is to embrace a fresh start. So you had an awful first birth, but you survived, and you got a pretty cute baby out of the deal! Now is the time to start fresh. You get a second chance at the birth you want, but it isn’t just going to fall into your lap. You are going to have to advocate for yourself, do your research, and rock your VBAC!! What should your first step be? First, find a supportive provider. Ask at your local ICAN chapter where other VBAC mamas went, and what their experience was like. Interview potential providers, and ask them your list of questions. Finding a provider that will be as enthusiastic about your VBAC as you are, is the number one determining factor in whether you will have a successful VBAC. Don’t leave this up to chance! Once you have secured an awesome provider, next you want to educate yourself! Here are a few of my favorite resources. Find your local ICAN (International Caesarian Awareness Network, supports mamas who have had c-sections) group, and go to a meeting! Most major cities have an ICAN group, and at their meetings (or even joining their Facebook group) will help you find VBAC-supportive providers, hear other mama’s c-section and VBAC stories, and find extra support! Just like you wouldn’t show up at a marathon expecting to run 26.2 miles without any prior training, you shouldn’t step foot in that hospital or birth center without doing everything in your power to prepare your mind and body for the rigors of delivery. Do specific exercises while you are pregnant–the baby’s positioning is SO Important! You want to avoid having a baby that is breech, or sunny-side up to avoid interventions, a c-section, stalled labor, baby’s plummeting heart rate, and more complications. The good news is that you have so much control over how baby is positioned, but you have to do the work early in pregnancy, and not just plan to flip baby when he/she gets to the end. In our modern society, we all tend to sit a lot, and slouch when we are sitting. All that sitting and reclining makes baby settle into a breech or less than ideal position. If you want baby in the best position for birth, than you should embrace standing, walking, sitting on an exercise ball (which can actually considerably shorten labor! ), and doing exercises such as these that Mama Natural recommends. Stay healthy! Eat a diet high in veggies, fruits, good fats, and protein. Avoid refined sugars, and processed grains. Exercise as much as you are able. Keep your body strong throughout pregnancy so that you are ready when the day comes to birth that baby into the world! Get adjusted. Going to a chiropractor (particularly one trained in the Webster method) can really help you stay aligned, and that will aid baby in being in the right position for birth. Massage that scar. Few OBGYNS mention it, but massaging your c-section scar is so important for healing, and preventing any dense adhesions that might form (this is a great tutorial). Drink Red Raspberry Leaf Tea. Many believe that it will tone your uterus, which is amazing for VBAC mamas (this is my favorite blend)! Eat Dates. According to this study women who ate 6 dates for four weeks leading up to their labor went into labor spontaneously, had shorter labors overall, and avoided pitocin! Work through the trauma of your first birth. Talk it through with someone, write it down, or pray about it. Process any grief you have about how your first labor and delivery went. Embrace affirmations. Choose a few affirmations to repeat to yourself, or print off affirmation cards (I love these cards from Mama Natural) to post around your room while you labor. Talk to other VBAC mamas. 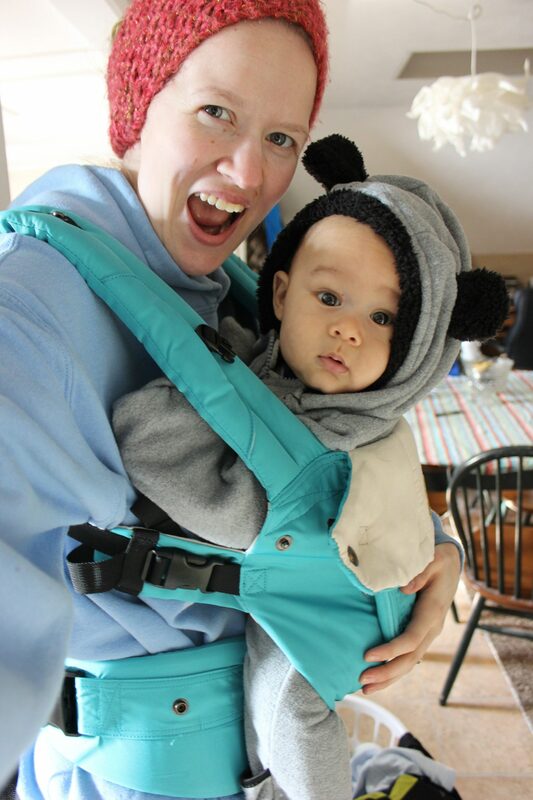 Ask them about their birth story, and for any tips they might have about achieving a VBAC! Make sure you feel safe, every step of the way. My Mom told me this analogy–when a mama deer wants to give birth, in the wild, –she finds somewhere dark and private. If she senses danger, she can physically stop her contractions, and run somewhere safe, before finishing birth. In the same way, we as women have to feel safe and protected, if we don’t our bodies will shut down and not progress. Be sure that you surround yourself with people that make you feel safe, and wait as long as possible before heading into the hospital or birth center. Check out #vbacwithoutfear hashtag on Instagram! I love scrolling through all the pictures of these victorious mamas, pumping their hands in the air with one hand, and clutching their baby with the other. A healthy baby is the most important thing, but your experience and birth story matters too. If you want a VBAC, then do your research, choose an excellent provider who will enthusiastically support you, do your prep work, and stand up for yourself! YOU are the only one who can make decisions about your body. Don’t let anyone scare you or pressure you into doing something that you don’t want to do. Put in the work, and then know that you did everything in your power to birth the baby in the way that you want to! What hopes do you have for your next birth? This post is so full of great information and will definitely be an encouragement to other mamas. I look so forward to seeing your #vbacwithoutfear photo. Hugs from California.